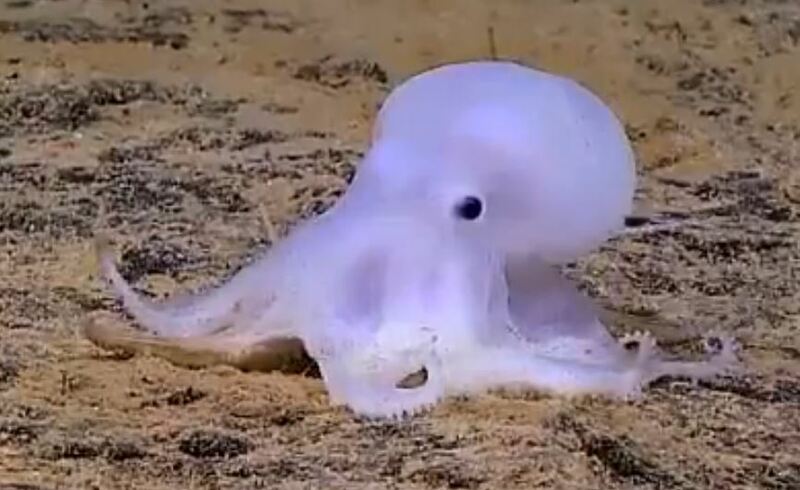 Earlier this year, a remotely operated vehicle captured footage of a ghostly octopod (belonging to the family of eight-armed cephalopod mollusks including the octopuses and paper nautiluses) off the coast of Hawaii. 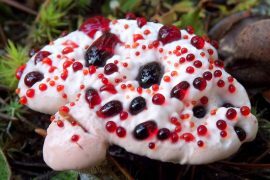 This pasty creature is being called “Ghost Octopus,” and is the first of its kind to be found. 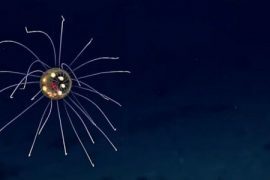 What makes the animal unique is that it’s the deepest-dwelling octopod without fins ever found. This newly discovered creature, with its smooth finless skink and strange coloring has already been nicknamed Casper: The Friendly Ghost. 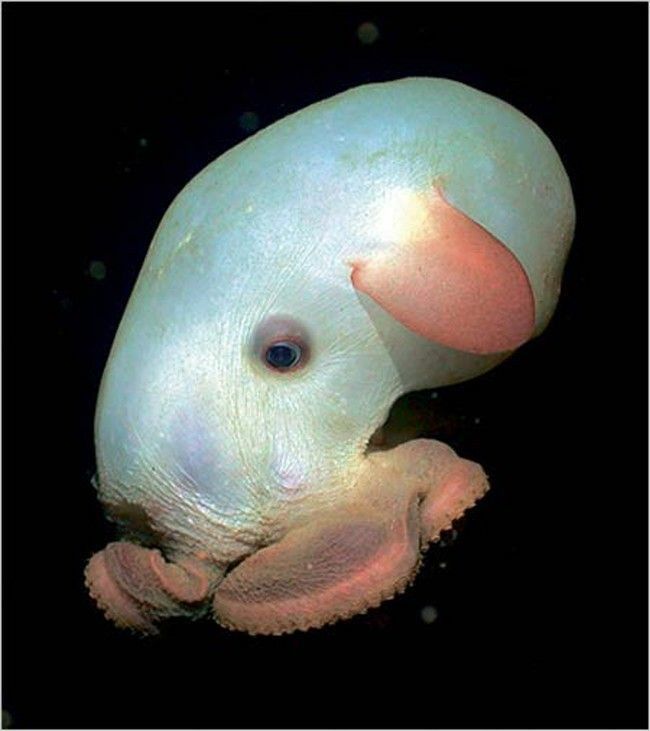 The Dumbo Octopus is shown here for comparison – notice the fins protruding from the upper part of the head. These fins are used for movement in the deep ocean. 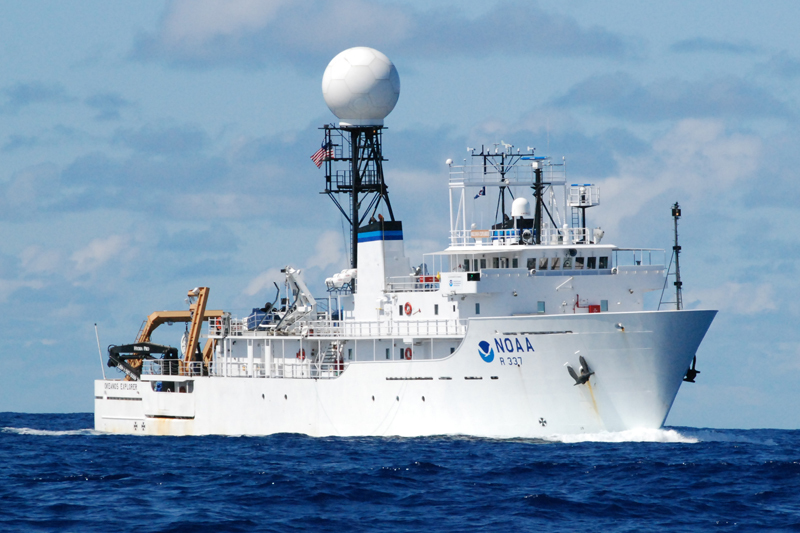 The remote was operating from The Okeanos Explorer, a National Oceanic and Atmospheric Administration vessel. Rightly named, “America’s Ship for Ocean Exploration,” the Okeanos is the only federally funded U.S. ship specifically assigned to explore our oceans for academic purposes. What’s even more amazing about this ship is that using real-time broadband satellite communications, it connects the ship and its discoveries live with audiences ashore. The ship’s name dates back to ancient Greek Mythology. Okeanos was the name of the river which surrounded earth. To learn more about this amazing ship and how its discoveries have re-energized oceanic science, visit the NOAA site. 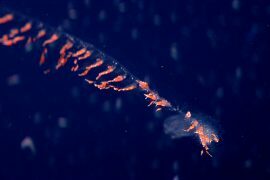 Scientists are making more discoveries at the bottom of our oceans; strange and luminescent sea animals which have challenged current theories. 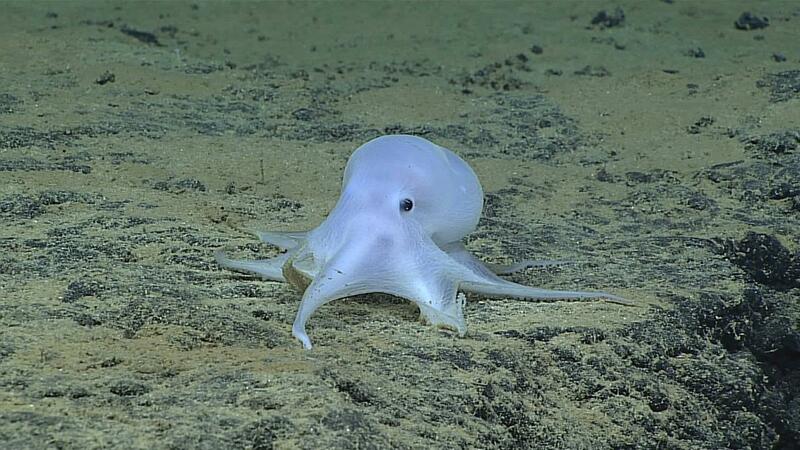 The Ghost Octopus was sighted at a depth of over 13,000 feet (2.6 miles) as it slowly swam across the ocean floor. In addition to being finless, the Ghost Octopus is pigment-free and has tiny eyes, which are thought to be functional but not in the same fashion as expected. The remote vehicle tried moving in for a closer shot when the Ghost Octopus started climbing away. The scientists operating the remote believe that it was either the light or vibrations that caused the flight reaction. Another post-sighting theory was that eyes could help the Ghost Octopus see other bioluminescent animals, which are common in the deep ocean. Other observations that are still being studied are that the Ghost Octopuses suckers are arranged in one series on each arm, as opposed to two with other octopi. The Ghost Octopus is one of many amazing new species that have been discovered over the past few years and it certainly won’t be the last. Our planet still has a few uncharted areas left for discovery and the sea floor is the largest of those. No one is sure what the future will bring, but we can collectively agree that it will be worth a second or even a third look once we’ve found it.